Weapon Storage Fails: Does the sales guy no anything? Does your sale rep have any idea what he is doing? In my 14 years experience designing and building armories, I have seen the good, the bad and the ugly. Most of the problems related to bad weapon storage systems and armories trace back to inexperienced or negligent distributors and sales people that represent these storage products. Weapon storage armories are unique and require specialized knowledge and skill to get the right. 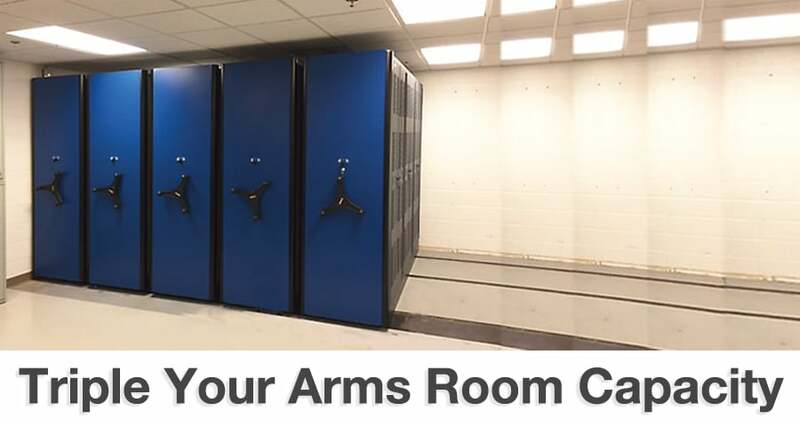 What I mean is you can simply put everything in cabinets and cages, lock it and done or design and install a weapon storage system that not onluy stores the weapon but also allows armorers to work efficiently. Weapon storage armories are unique and require specialized knowledge. So how do you assess whether the sales rep in front of you knows anything about weapon storage? If the supplier’s main business is office and filing solutions or focused on industrial warehouse storage, then you need to ask them a few qualifying questions. Find out if they know anything about guns. If a rep does not have a good understanding of modern military weapons and weapon systems, how can they be expected to provide a weapon storage system that meets your needs and properly stores your weapons and associated gear? Can you explain how to disassemble an M4? This will assess very basic weapon knowledge and give you an idea of their level of understanding of the environment. I have seen many storage solutions that do not take into account the modular nature of AR platform weapons. There are locking systems that can be defeated by simply separating the upper and lower receivers or popping open the trigger guard on an M4. Our sniper rifles have floating barrels. How does your system address this? If they respond “Do the guns go on boats?”, you need to choose a different supplier. Lack of understanding of systems like this should be another red flag. NOTE: When storing a rifle with a floating barrel the weapon should be stored vertically with the weight of the rifle on its stock and held in place with an upper saddle at the forestock not resting on the barrel. The scope or optic must be free and clear. You should be able to remove the rifle or adjacent rifles without bumping the scope. Can you explain how to clean a rifle? Can you explain how to zero a weapon? Remember, they make the sale and move on. You have to live with the system for a long time. It is important that your system designer has a solid working knowledge of weapon systems, optics, and armory workflow. High-density mobile aisle weapon storage systems. When considering a high-density mobile aisle system, a salesman’s experience installing these systems may not be enough. There are many improper or inferior mobile systems installed in armories around the country. There are also many sales reps out there who claim to have lots of experience. Does installing 20 bad storage systems mean you are experienced? The system below was designed and installed by a company with a background in business office solutions. In the right image, you see a system end panel that has broken off and sits on the floor. This failure renders the entire system ineffective. The primary cause of the failure was a poor choice in end panel material. The end-panels were a laminate (particle board with a Formica-type covering) in this particular solution. This type of material looks nice and works well in a law office or hospital setting when storing records, but in an armory where people are moving heavy items like MK19s and M2HBs, these panels will break off if accidentally hit with a heavy piece of equipment. Steel end panels are a must for mobile aisle weapon storage systems. If a sales rep recommends a system with laminate end panels he does not know what he is doing. You need to consider bringing in a different company to design the weapon storage system. There are many qualified individuals who can properly design and install an efficient and functional weapon storage system in your armory or weapon vault. There are more who do not really know what they are doing. Take the time to evaluate, not just the proposed system, but more importantly the person who is proposing it.